Vanilla/Butterscotch cake with seasonal fruits in the middle. 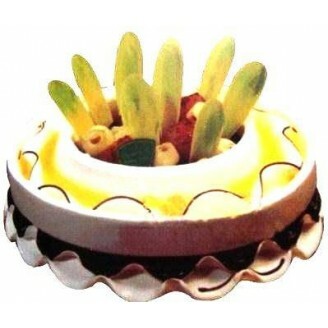 This is a special cake and need time for its preparation. We request you to place order for this cake atleast one day before you want the delivery.